While we’ve made quite a few backdrops for different events, this one is extra special because of its size and substrate. 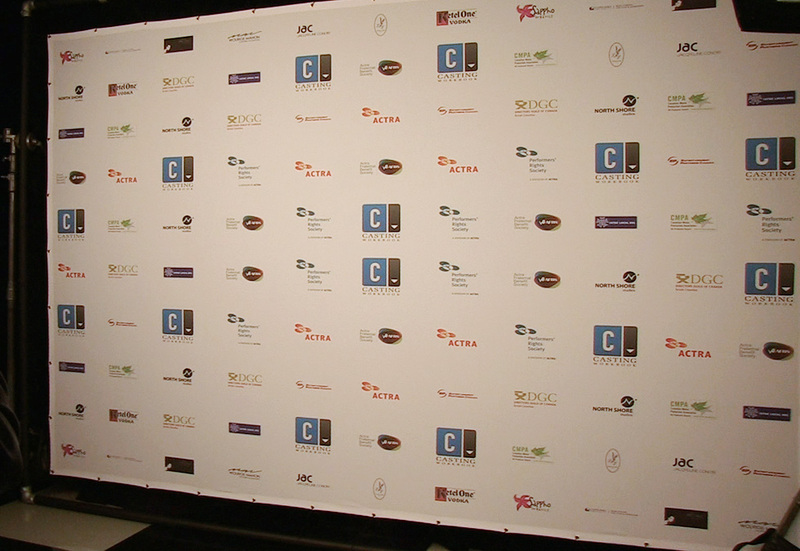 This backdrop for the UBCP/ACTRA Awards is our first to be printed on our Coast Display fabric and is one seamless 96″ x 144″ panel printed on our latex printer. I have just received the backdrop, Wow! It looks great! Thank you so much. Please can you thank all your staff who have helped work on this, it is perfect. I will of course recommend you to anyone else that needs anything similar and we look forward to doing business with you again in the future! While not that exciting standing all alone, you can see the backdrop in action on the Union of BC Performer’s site.